Door numbering for Lissom & Muster, Manchester. photo courtesy of magnetic North. 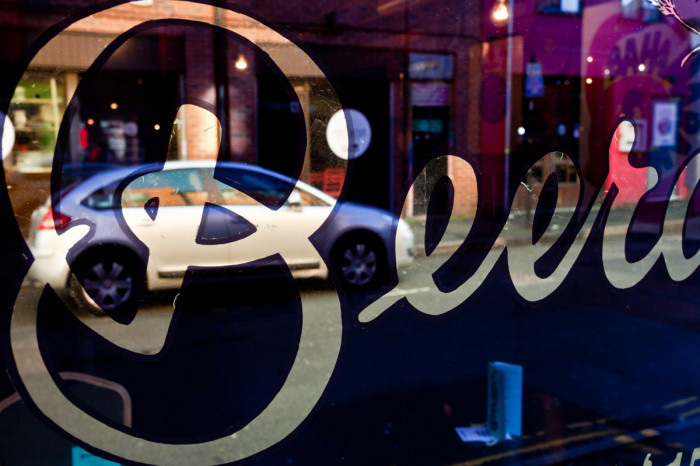 For Manchester digital design agency magnetic North, marking their showing of the Sign Painters Movie. Design resulting from lettering sessions with homeless men at the Booth Centre, Manchester, 2014. 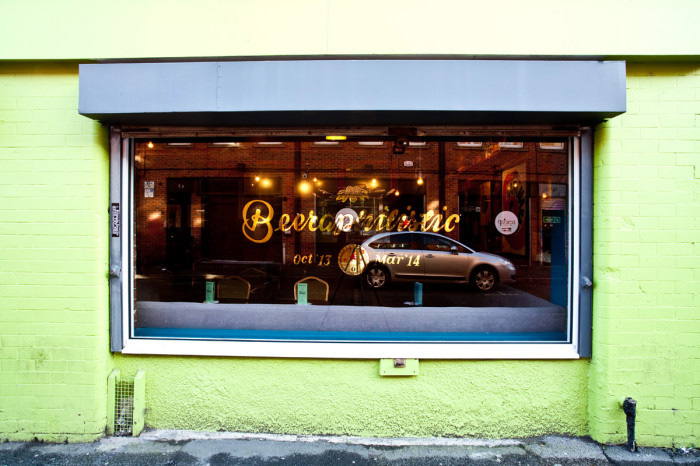 For Common bar's Beeraphilistic exhibition of ersatz brewery paraphenalia, 2013. Reverse glass gilding. Common Good Society - arts initiative for Working Men's Clubs. Irontree Forge, Blacksmith & Wood Carver, Ripponden. Heart Of Glass - commissioned as part of the launch of St Helens Creative People & Places arts and culture programme. Bridge Bakehouse, Whaley Bridge - images to follow. The Beagle, Chorlton, Manchester. More. Asian-inspired signage for Manchester Mela event, 2017.